Just like everything else in nature, koi ponds come in all shapes and sizes. But how do you know what the right koi pond size will be for you and your family? An 8×11 koi pond is what many pond owners begin with. This is a smaller pond, but it can still accommodate some fish and plants. Homeowners with less outdoor space may find this size a good option since it gives the look and feel of a larger water feature. An 8×11 koi pond can be harder to keep clean, due to less water. To avoid this we recommend adding more filtration. The 11×16 koi pond is the most popular size. Two reasons many people choose an 11×16, one is that you can have larger fish and this size pond will be easier to keep clean than an 8×11. Let’s not forget the kids playing in the pond on those hot summer days! 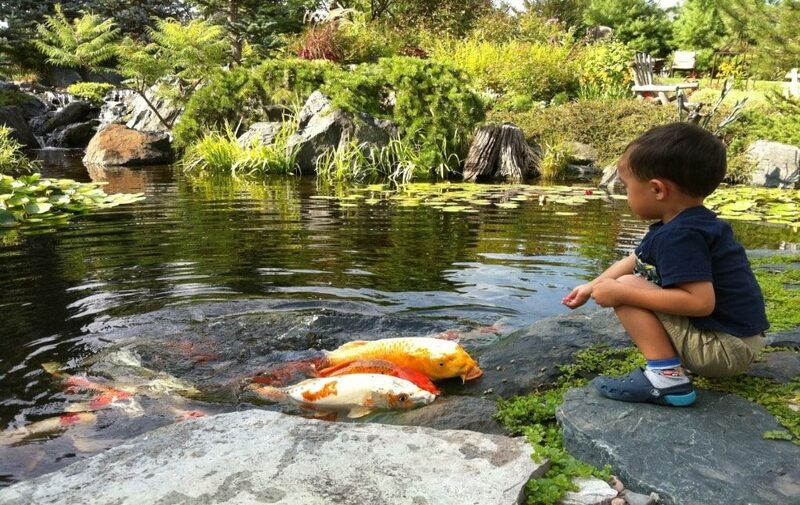 Those without kids may also find this to be the optimum size koi pond. The larger 21×26 isn’t for everyone due to its size. We have found that those with larger properties, or those with kids, find this size to be their top choice. At this size, you can add more aquatic plants, and more fish. And if you go deeper, maybe 6′, this will turn into more of a ‘swimming pond‘ that the kids, and everyone, will love during summer! The bigger size pond you have, the easier it is to maintain. Out of all three sizes, this would be the easiest to keep clean. A pond of this size will really become the focal point on the property, and likely where you will spend a lot of time in the summer months. How Can You Determine What Size Is Best? 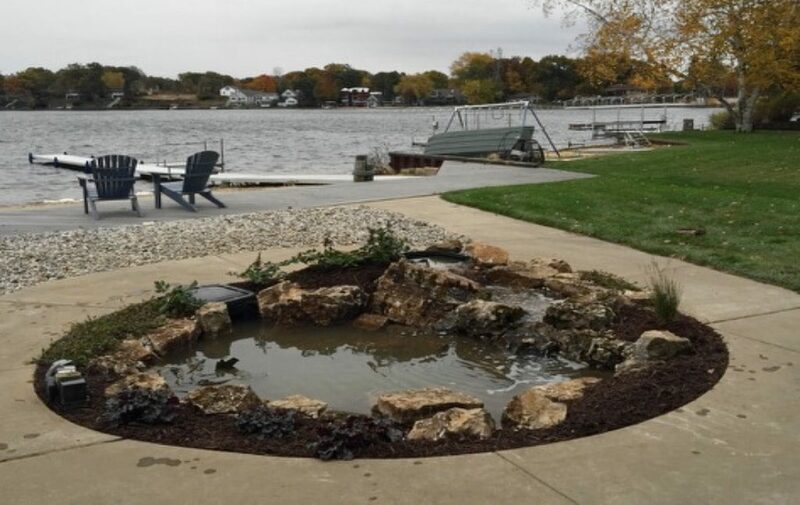 The size of your property – An 8×11 may be the best choice for a smaller property, but if an 8×11 koi pond is pushing it, check out a decorative water feature instead. 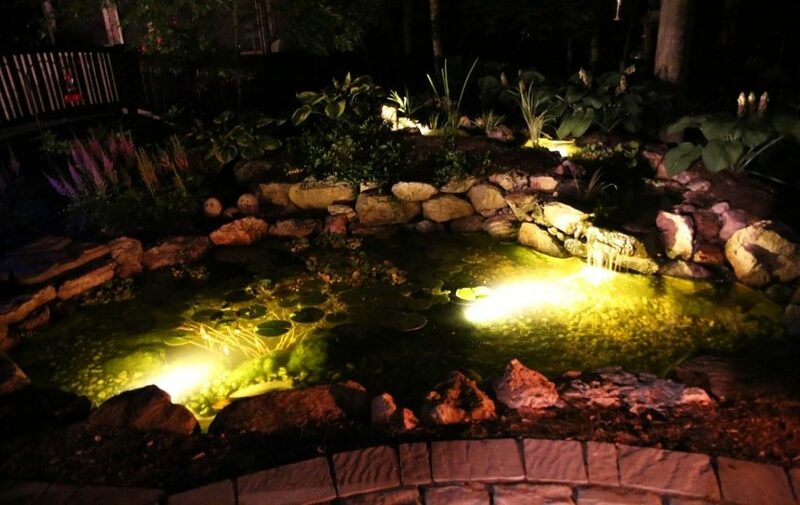 Your budget – What you’re willing to spend can also dictate the size of your pond. Family – Kids, grandkids, pets, everyone will enjoy a pond no matter the size, but if you want the kids and pets to be able to swim in it, you’ll need to go bigger. Maintenance – How much time you are willing to maintain your pond (or have someone do it for you). Remember, the bigger the pond the more functional the ecosystem. Plants & Fish – If you have no interest in fish, or plants, then consider a pondless waterfall or a decorative water feature. Contact us with additional questions or to start your project, or check out Ponds 101 to answer some frequently asked questions.